Then-Texas Attorney General Jim Mattox changed the legal status of the tribes’ trust in 1985 — a pivotal moment for the 2019 court cases. Two Native American tribes that have sought to legalize gambling on their Texas reservations faced legal setback this month in two separate federal court rulings. On March 14, the Fifth Circuit Court of Appeals ruled the Alabama-Coushatta tribe had violated state law by operating Class II gaming machines at the Naskila Gaming facility near the town of Livingston in East Texas. On Thursday, U.S. District Judge Philip Martinez issued an injunction against the Ysleta del Sur Pueblo in El Paso that keeps it from operating a similar bingo-style gaming facility more than 3 days a week. Judge Martinez stayed the injunction pending the pueblo’s appeal to the Fifth Circuit Court of Appeals, which has ruled against Native American tribes and for the State of Texas on the issue a number of times over the years. For the time being, Naskila Gaming in Livingston and the Tigua Speaking Rock Entertainment Center near El Paso remain open — but they likely face closure in the coming months. The U.S. Supreme Court repeatedly has declined to hear appeals cases the two tribes have filed with the SCOTUS. The legal battle focues on the 1987 Restoration Act, which reinstated the US federal government’s responsibility over the reservation lands held by the Tigua and Alabama-Coushatta tribes. Under federal law, most Native American lands are owned by the federal government, but held for the benefit of a specific tribe in trust relationship. From the 1940s to the 1960s, the US government tried to assimilate Native Americans into the wider culture by eliminating the protected status for reservation lands. In many cases, reservations were handed over trusteeship to the state governments and ending federal recognition for the tribes. That is what happened to the Alabama-Coushatta (in 1954) and the Tigua (in 1968) tribes. After the 1987 Restoration Act, the two tribes tried to assert their rights the way other federally-recognized tribes have across the nation. In 1985, then-Texas attorney general Jim Mattox filed a motion that stated the trust held by the state violated a 1972 state constitutional amendment. Without the legal funds to fight Mattox’s filing, the trust was stripped away from the two tribes. The removal of the trust status is key in the subsequent attempts by the tribes to develop casino gambling on their reservations, or otherwise establish their legal rights as a recognized tribe. 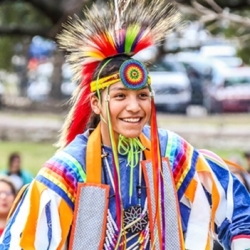 After the 1987 Restoration Act was passed by the US Congress, the Alabama-Coushatta and the Tigua tribes have tried to use the law to have their previously-recognized status reinstated — along with the rights and services promised in the federal law. The 1988 Indian Gaming Regulatory Act (IGRA) stated Native American tribes which are recognized by the U.S. Department of the Interior’s Indian Affairs Bureau have sovereignty over their lands. Because of this sovereignty, they have the right to host land-based casinos, even if the neighboring state bans gambling. The reservation is seen as sovereign land, so the tribe gets to build a casino after agreeing to a gaming compact with the state. The catch is the tribal authority has to have been recognized by the Indian Affairs Bureau in or before 1934. Otherwise, the state and federal governments must give their consent to tribes who want to build a casino on tribal grounds. Because the Alabama-Coushatta and Tigua tribes had their legal status taken away in the 1950s and 1960s, respectively, their federal recognition is tenuous under the terms of the 1988 Indian Gaming Regulatory Act. The tribes have been aggressive in opening gaming facilities in spite of the law, while Texas officials have been aggressive in enforcing the terms of the law. The resulting legal battle has raged for over a decade. It is a tall order for two tribes without gaming revenues to lobby the US Congress to amend or repeal a law. Unlikely to happen, the tribes have sought other means (see: “Saving the Tigua“). Meanwhile, they have operated bingo events and bingo-themed slot machines (Class II gaming) on their reservations. The current legal battle began when the National Indian Gaming Commission (NIGC) wrote a letter to the Tigua and Alabama-Coushatta tribes that they could offer Class II gaming under the terms of IGRA. The last four years of legal battles have centered on the tribes’ right to host such gaming.